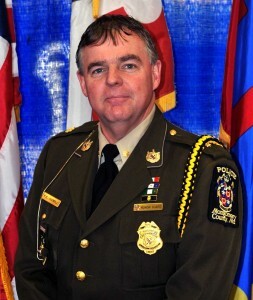 A familiar face to Rockville residents has just been named acting chief of police for Montgomery County. Assistant Chief Russell E. Hamill, III officially assumed that role at 12:00 AM this morning, according to a statement from the Montgomery County Police Department. Hamill has been a member of the force since 1986. Hamill began his police career in Rockville, first as a Sheriff's deputy, and then as a County officer in the 1st District. He was assigned to Montgomery County's first community policing unit, in the Lincoln Park neighborhood of Rockville. In August 2007, Hamill was named Commander of the 2nd District, which includes Bethesda, Chevy Chase, most of Potomac, Kensington and a small part of Silver Spring. During that time he was often found at community and civic association meetings to brief residents on public safety issues. Hamill is expected to remain acting Chief until a nationwide search for a new police chief is completed. He is a lifelong resident of Montgomery County. umm, what's going on with his hair?